During the transfer window, football fans all over the world get inundated with daily rumours of potential player movement. Inevitably, when discussing football finance we often talk about players and their salaries, given that it is the highest expense of a club’s budget. Focus is put on a player’s salary (which is usually reported net of tax) and we often ignore what the actual gross cost is for the club because well, let’s face it, do fans really care? 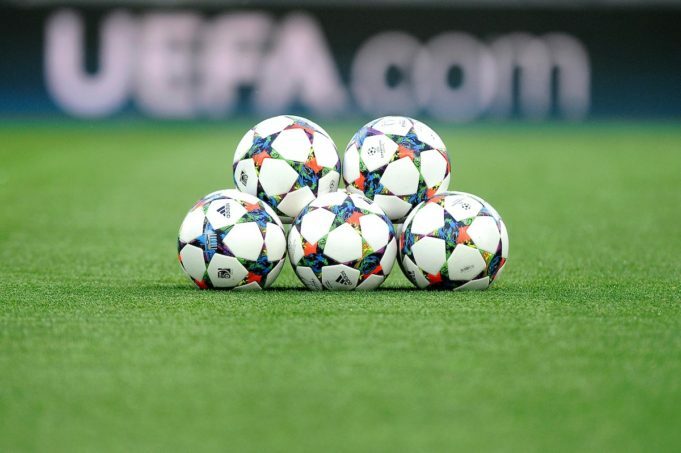 Footballers, when it comes to taxation, are treated as employees of their clubs. As a result, when a club pays a player’s salary, they are obligated to deduct: income tax, pension contributions, employment insurance, etc. Each country has different tax rates and different forms of deductions. The club acts like a tax agent who must withhold these amounts in trust, keep separate from its operating funds and remit to the government. For simplicity purposes, we will not go into the issue of residency and other sources of revenues such as endorsements and image rights. In a recent study by KPMG Football Benchmark, different taxation regimes were analysed among several countries. We take a look at the different rates and how it may impact negotiations with players and activity in the transfer window. The range of club costs vary from a low of €1.19 in Turkey to a high of €2.74M in France. 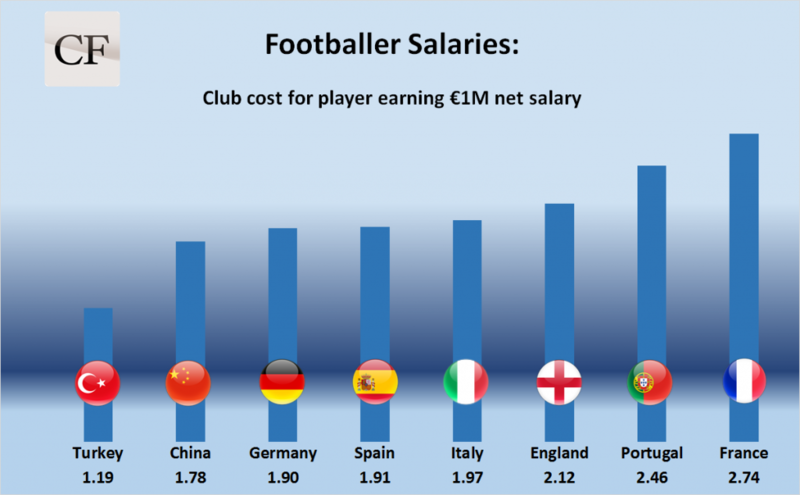 On a strictly financial level, countries with lower taxation give their clubs a competitive advantage as they can pay the salaries of their players at a lesser cost than their peers. The advantage can be two fold: it can allow a club to put a higher bid on a player, or have more money available for other acquisitions. For example, let’s say a highly sought after player is looking to change team. If his agent is doing his job properly, he will set a bidding war to drive up the transfer price and negotiate a higher salary for his player. A club in Turkey, at the lowest taxation, can offer the player a higher salary by outbidding its competition (and still pay less), or alternatively, use the saved funds to target an additional player. For the big clubs that have a significant operating budget, the issue of taxation may not be so problematic. On the other hand, middle to lower level clubs will have more difficulty as they have a smaller budget to work with. This can explain one of reasons why Portugal and France have been a net exporter of players. Over the years they have developed talent at a low cost, and then sell the players for a profit as their new wage demands are too costly for their limited budget.